Posted 10:14 am by admin & filed under Uncategorized. 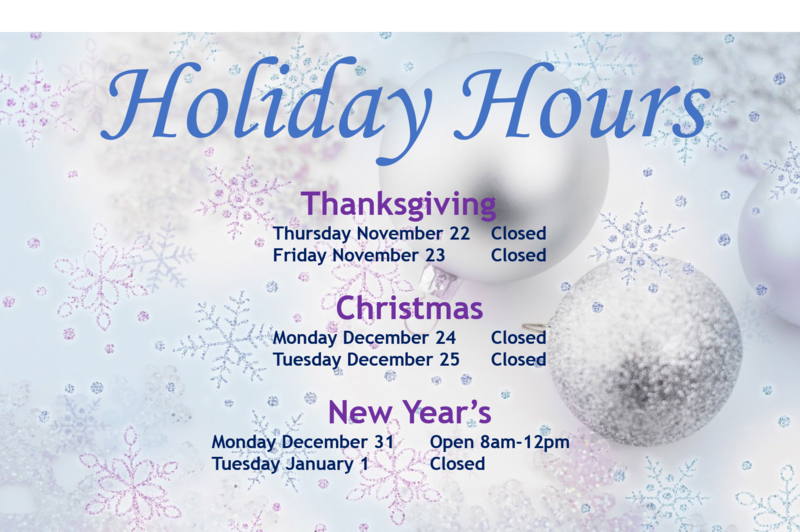 We will be closed the following business days to give our employees time with their families. As always, we have a doctor on call for emergencies. If you need a prescription refill, please call your pharmacy. If you have a true medical emergency, please go to the ER.